This season hasn’t been a great one. A while back I posted a race schedule that quickly started to unravel from the off and the truth is, this is only my 3rd race of the year, where the 1st was spontaneous and the 2nd used as a training run. 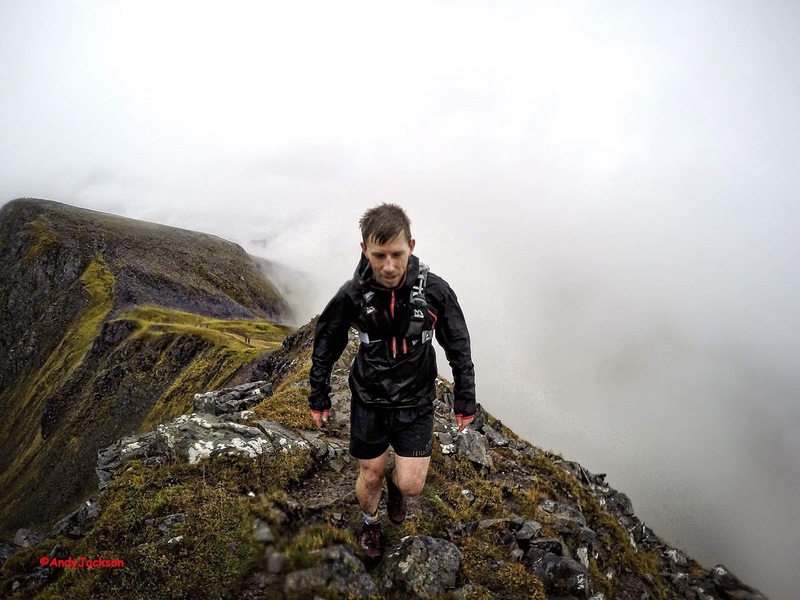 Since coming under Paul Giblin’s coaching wing, the goal was always Lakeland 50, with all training from May to race day focusing on that end goal. I’m sure I don’t have to remind you how that ended…. well, never happened. Coming off the back of this failure/flop/frustration (take your pick) I still had the Scottish round of the UK Skyrunning Series planned. Having missed it last year due to illness (change the record!) I was excited yet questioning the validity of this choice. 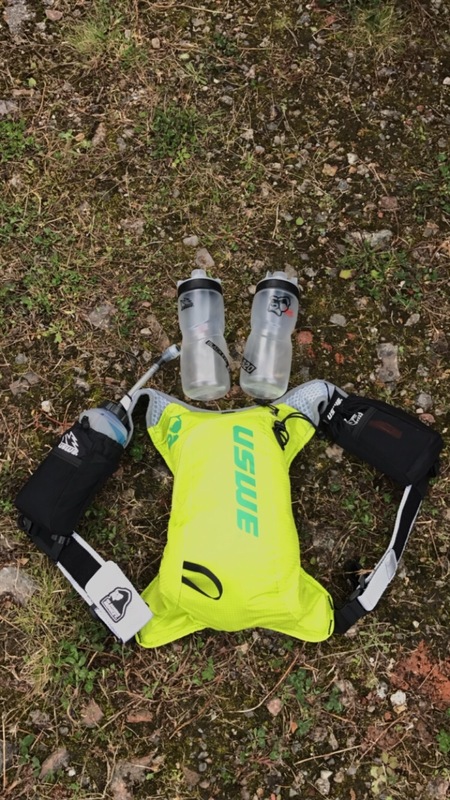 1000 mile round trip for 29km of running, am I mad? After 3 weeks of no running, shaking the cold proved an ultra in itself, I was back training and making up for lost time. 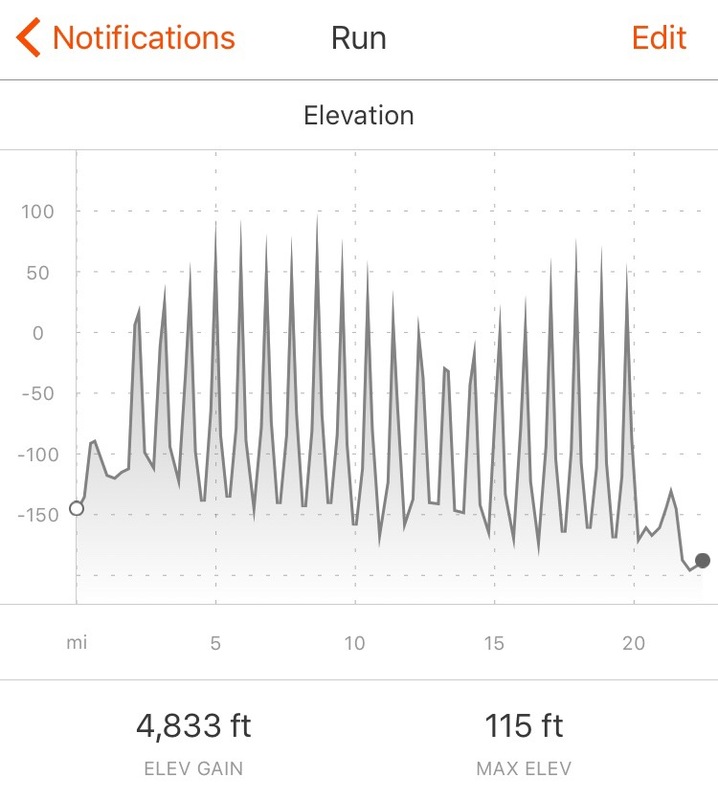 Living in the flatlands of Milton Keynes is the perfect environment for mountain training, as I told myself on the 15th of 20 hill repeats, in a 4 hour out and back session of running up the only hill for miles, all to hit 1000 meters. I can’t say I didn’t try! 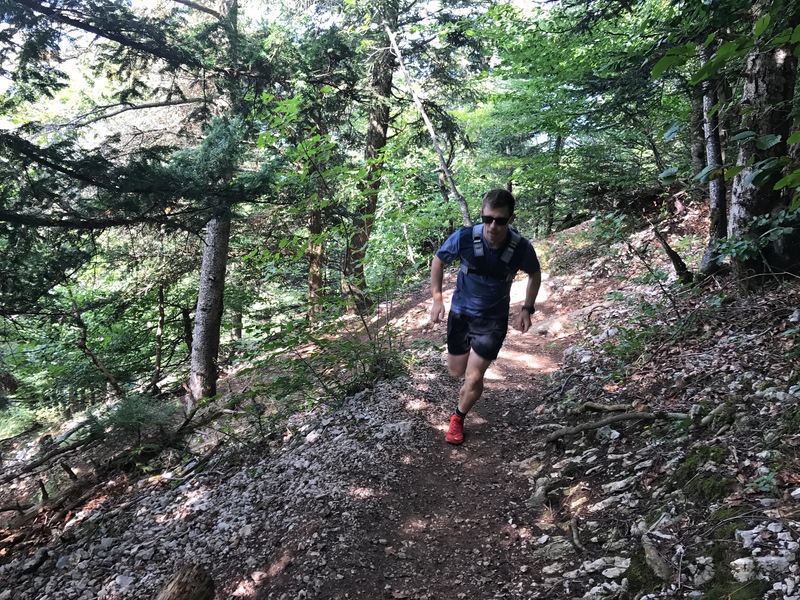 (Look at that maximum elevation……) A last minute trip to Annecy gave me a hill (860ish meters gain) to train on, without wondering deep into the mountains and frustrating my partner on our first proper holiday in 5 years, balanced runnable trails with technical sections. 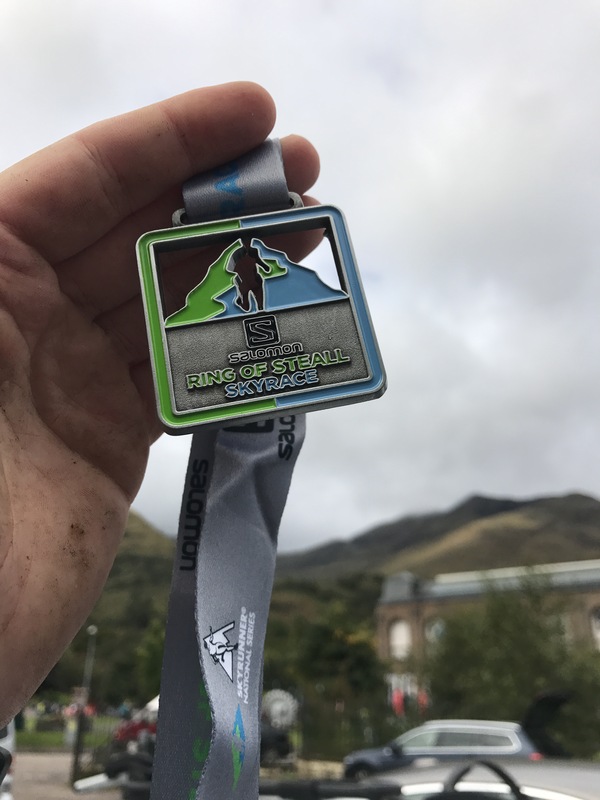 Skip forward a week, I’ve picked up Michael Jones (8th at CCC two weeks before and went onto 3rd at the Ben Nevis Ultra) with many hours to talk about the courses. 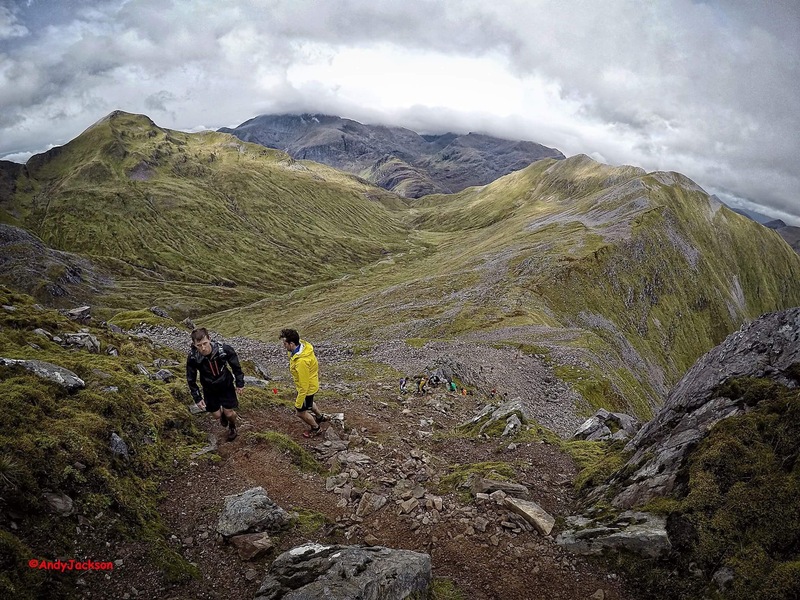 Now, in my excitement to cram in as many things into a long weekend break as possible (two days driving and two in Scotland) I’d entered the Mamores Vertical Kilometre – the UKs only sanctioned race of its kind. 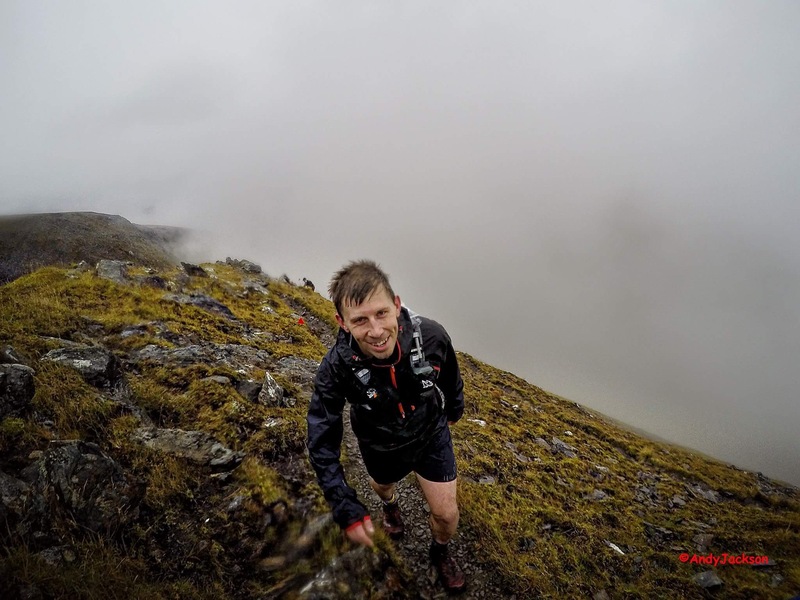 After hearing what it did to Mike the previous year before then running the Skyrace as I planned to do, it didn’t take a lot of convincing to drop out. My legs would thank me big time. Registration, bumping into lots of friends and elite athletes I knew, it was time to register – kit check, I.d, race number, course map, photo, live tracker, t-shirt. Now chill, try and get a good nights sleep in the boot of my estate car and make sure I don’t do anything stupid. Decked in my new Vertical 4 from USWE and my core inov-8 kit, I gingerley made my way into the starting pen. What would the course be like? Would my legs hold up? How long will it take? From the off, I made mistakes. Holding out in my car until 5 minutes before the mandatory briefing put me somewhere in the rear third, if not worse, in the pen. I learnt at Trail Marathon Wales the importance of starting near the front. It enables you to run your own race, pace yourself and not worry about getting around people. It was only when the herd of runners ahead moved to the main road, the quantity of bodies ahead became apparent and the blunder registered. Immediately I mounted the pavement and started my conquest to get ahead of slower runners. Hitting the right singletrack which leads from the main road and onto the West Highland Way, the pace dropped dramatically. What was once a run became a jog, then a walk. I’d be told to power hike many of the ascents, but trying not to trip over heels wasn’t part of that. Ahead, a UTMB headpiece caught my eye, with the wearer also clad in inov-8 kit…. I’m not Inspector Poirot, but my gut knew that was Andy Jackson. Over the next half a mile, I took any opportunity to pass people, in order to indentify whether this was indeed a friend. And it was. 2 weeks after running TDS and a day after shooting the VK, it was great to be with someone I knew and had run the course before. The climb to SGURR An LUBHAIR was quite. No one spoke, as bodies forced themselves up a twisting trail, plastered in boggy sections, being expanded with every passing footstep and slip. Passing was hard, it was evident who could and couldn’t climb. I wouldn’t be as bold to put myself in the first category, though I was steadily passing people to the summit. The final summit of SGURR A’MHAIM gave way to a 1000 meter descent to Glen Nevis valley. Moderate trails, broke to scree slopes, with many not willing to open up legs on the moving ground. Then it got steep, resembling a mtb bike park. Only tighter, shorter switchbacks where breaking mid turn was not an option. It was at this point, bodies began to fall. Whether on the main trail or straight lining, knees buckled and feet slipped. Shouts of “you ok” rang out, as those around made sure no one was injured. Towards the bottom, I started to wish this was the finish line. My legs were tired, what was initially fun was now getting monotonous and I’d managed to pick up a niggle. Going off trail high up, my left foot had shot straight down a whole, in doing so locking my leg out and jarring it on impact. The worry was present in my mind, was this game over before half way. The only aid station was in Glen Nevis and it wasn’t ready. With one water barrel to share between everyone, the que was 20 deep, the frustration tangible. It was during this that my left leg fired, shaking uncontrollably. It didn’t help my concerns. Making full use of the portoloo (my pre race routine hadn’t been followed) I was more comfortable and used the road section to sweep up places. Living in a flat area, this is where my current strength lies. River crossing done, it was onto the steep slope of AN GEARANACH. I took my time, short steps, no worry of position, the goal was simple. Keep moving. Casualties toll of the physical effort of the Ring of Steall sat by the trail, depleted, out of food or water, as once again passing runners tried to spur them on. After several false summits, the ridges engaged and by the time my pace was slow. Fatigue and trusting my reflexes were quick enough, was enough to slow me right down. Just finish. Rejoining the initial climb, for the final descent, it was carnage. What goes up must come down, and 500 off runners defying gravity on the ascent, churned the trail into a gully of deep, unpredictable mud & holes. Skitting around, the pace slowed as I knew this could cost me more than simply time. By this point I’d exhausted my Mountain Fuel pancakes and extreme energy drinks (one small suspicious package in reserve, but no water on hand) and making it off this minefield intact. Fuelled well, legs not mince meat and no major injuries. Time to get my legs turning over. I picked up my pace, waiting for the main road to unleash. After a few wet slabs attempted to unseat me, I hit the road, pushing on, those who passed me on the descent in height. Faster, push! Body feeling the strain, I hammered on, raking up passes, blipping close to a 7 min mile. As I saw the line, 2 runners were left, one suffering, one strong. Seeing Matt Ward MC’in, I unleashed all I had, a full sprint. Under 5 min speed! Soaring!! Dibing in at 6:04hrs, I couldn’t say I was happy, but neither was I disappointed. I’d identified weaknesses in my training, my self and areas to work on. My training had been hampered by my lack of mountains, and this was my fault. Pyllon’s tranformed me and I now want to pursue my limits. The course is amazing, stunning, beautiful and a beast. The atmosphere over the weekend was epic, with 3 others races and plenty of spectators.